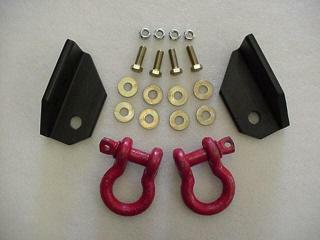 These shackle brackets bolt onto our XJ winch bumper. 3/4" d-ring shackles sold separately. Requires winch bumper or tow hook brackets.